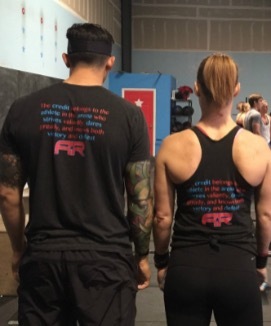 Arena Ready CrossFit - Shirts Are In! Franniversary a Blast! Shirts Are In! Franniversary a Blast! Arena Ready t-shirts, tank, tops, and baseball shirts have arrived! Those of you who pre-ordered have your shirts set aside for you - please see Rob or Sarah at the gym this week so we can grab them for you and ring you up. There are extras of each of the styles, which are available for sale on a first come first serve basis. 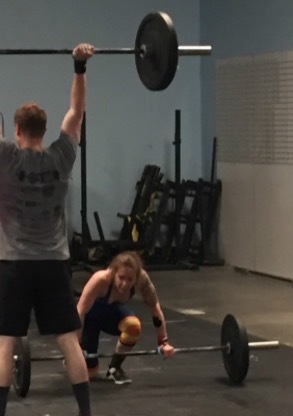 Please see a Coach at the gym so they can assist you. Thanks! 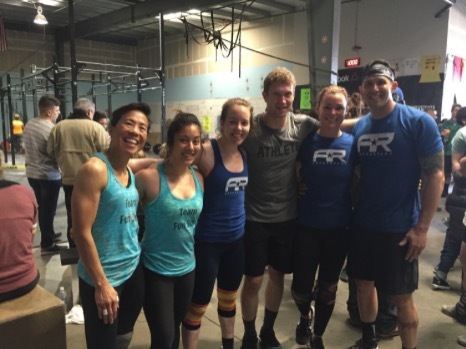 Our three Arena Ready teams had a blast competing at the "4th Annual Franniversary" event in Oakdale on Saturday. 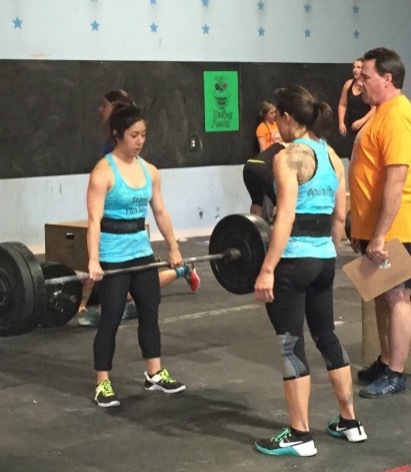 "Team Fun Size" (Kim & Lisa) finished in 25th place overall, "Team Which Weekend?" (Kate & David C) finished 18th overall, and "Team Infarkle" (Lindsay & Jon) placed 19th overall in the highly competitive Rx Division. Nice work all - way to take on those nasty events and come out with smiles on your faces! 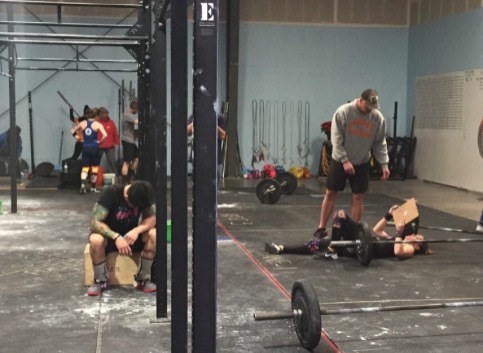 That moment when you're so out of it immediately after a WOD but you still have to sign your scorecard for the judge. Let the wifey do it. The teams are already looking for more AR athletes to join them in this annual event next year - and judging by the pictures of some of the action above, doesn't it look fun!? Focus on being explosive on the box jumps immediately after the back squats, rather than cycling the box jump reps as fast as possible. Want to add intensity? Run faster.